Keen to hit the trail? We’ll send you a free brochure & map in the mail. If you'd prefer an e-brochure, leave the address parts blank and we'll email it instead. What better way to bring in the New Year than to take a look back to the past. New Zealand is seen as a very young country but believe me, it has a long and colorful past. One of the greatest and unique things that New Zealand has going for it, is that for about 80 million years it sat in total isolation. There it was, broken away from its predesessor – the super continent Gondwana, just floating around in the South Pacific With no human interfarrance until 800 years ago. This allowed the Jurassic Forest to evolve without the pressense of mammals (apart from a couple of very small bats that also live in Whirinaki te Pua-a-Tane). New Zealand split from Australia, South America, and finally Antarctica to float alone, by itself and remain ancient! Since its breakaway, New Zealand’s flora and fauna has had the unique opportunity to evolve without the influence of man or any mammals allowing many birds the ability to be soo lazy that they ended up forfeiting the ability to fly, and in some cases, their wings devolved so much that they barely exist at all. This has allowed the forests to contain some of the most interesting birds in the world such as Kiwi, Whio and Kokako. All of which call Whirinaki Forest home. 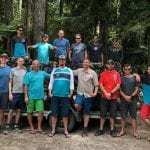 New Zealand Mountain Biking gives the unique opportunity to travel through Whirinaki Forest by mountain bike in style. 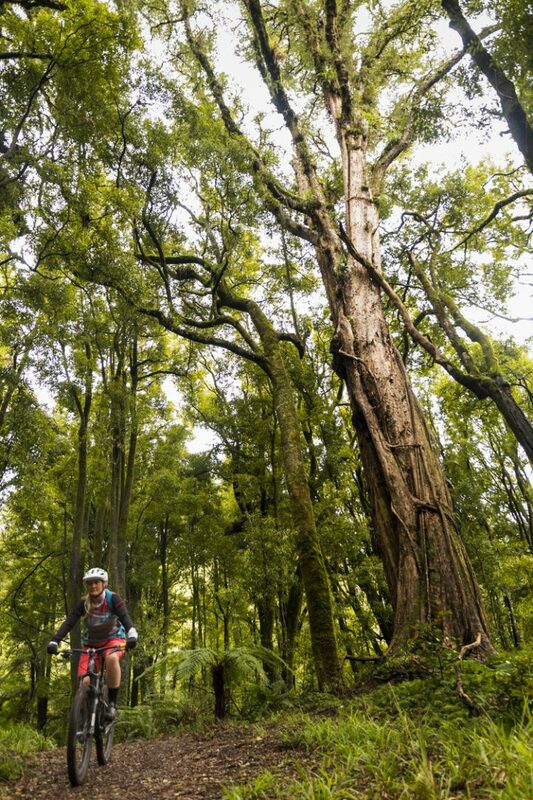 Whirinaki Forest offers many options to either challenge yourself or take it nice and easy while riding through a cathedral of 1000 year old trees, dense tree ferns, and being chatted to by our endemic bush parrot, the Kaka. Whirinaki is one of the most diverse forests in the country including most of the countries biggest trees including Rimu, Kahikatea, Totara and many more. It was also one of the first areas of Department of Conservation lands to have designated mountain biking trails. In 2010 the name was changed from Whirinaki Forest to Whirinaki Te Pua-a-Tane which has the literal translation to abundance of Tane (god of the forest). Whirinaki covers an area of over 56,000 hectares and has had huge effort to help the area return to a pre human and pre european state. From the battle to cease logging in the 1970’s and 80’s, to helping the fauna recover from being predated by introduced species brought over in the past 200 years which include rats, stoats, cats, deer, pigs and many more. This is super important becuase of the amount of endangered species that New Zealand and more specifically, Whirinaki has living in it. Now what we are lucky to have the opportunity to do is experience this incredible area, and what better way to do that than from the seat of a mountain bike. The forest itself contains many trails for tramping (hiking) and for us, mountain biking! 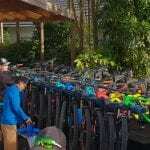 Only being a short 1.5 hour drive from New Zealand’s mountain biking mecca, Rotorua, it is a beautiful gem right on our doorstep that is free from crowds and includes different riding options for different abilities. 2018 will be a big year for all. 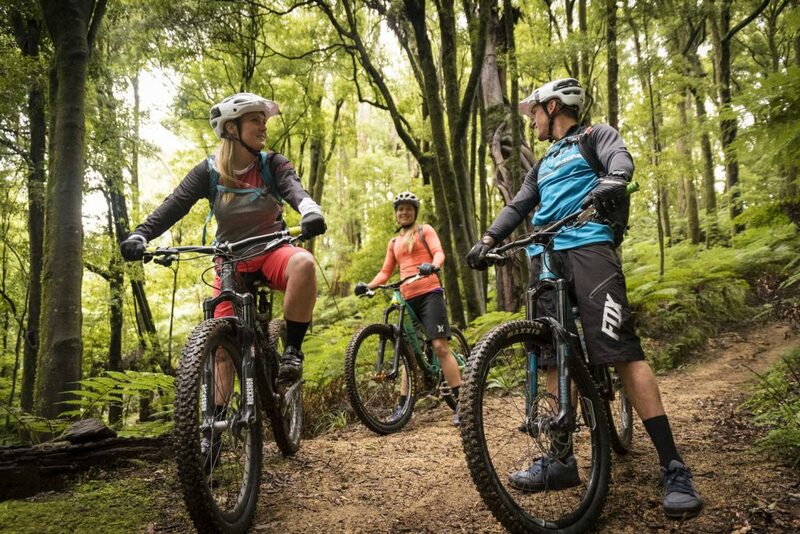 New Zealand Mountain Biking has just been granted the right to share over 240 km of Mountain Biking trails across the Central North Island of New Zealand with you. 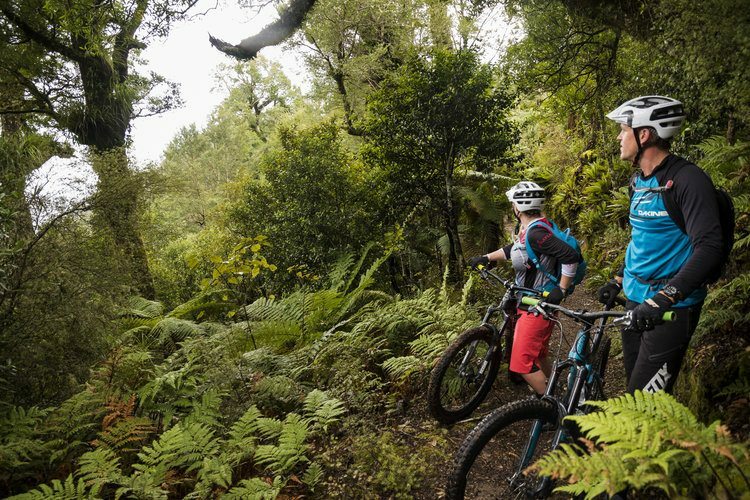 This makes us one of the leaders of the industry offering responsible tourism in the form of journeys by mountain bike through the North Island. 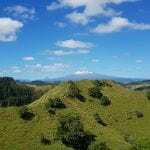 Not only offering mountain biking trips in Whirinaki te Pua-a-Tane, but also across a variety of different landscapes on the slopes of active volcanoes, along historic Timber Trails, and around beautiful lakes. 2018 is going to be a huge year! 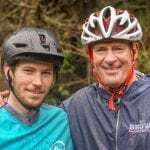 Jamie, Phil & the team and New Zealand Mountain Biking!